Beaches here are versatile, and there is something to please both sand and party lovers, or those that love the romance of hidden rocky bays. The Croatian coast is one of the main reasons Dubrovnik is among the most prominent tourist destinations in the Mediterranean, and some of the best photo opportunities are here. Even if you prefer taking a dip in a swimming pool over the sea, the opportunity to plunge into the azure Adriatic may just change your mind. This is one of the most famous family destinations in Dubrovnik. It is the biggest beach in the city area; a concrete and pebble beach with small piers, water slides, and facilities for various water activities like kayaks, water polo, and jet skis. This is a fantastic beach for the elderly and disabled – there is a lift on the concrete part of the beach that provides a way for getting in and out of the sea. 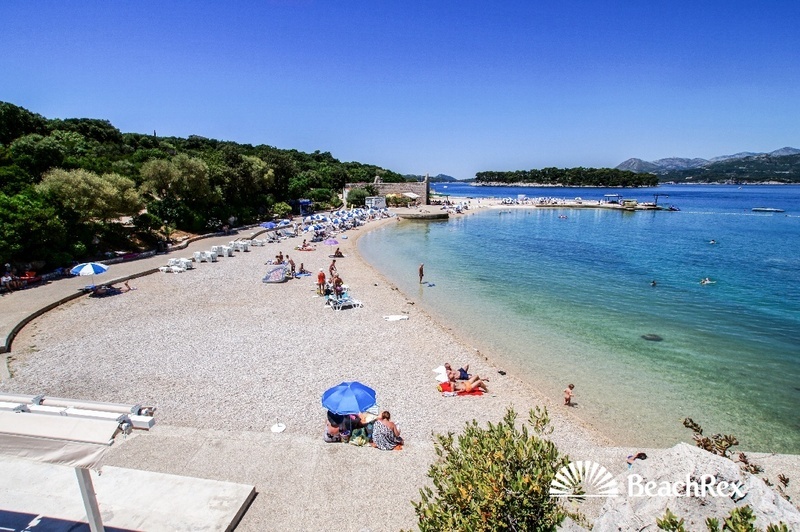 While lying on the beach and catching some sun, you can also enjoy a wonderful view of the Elafiti islands and Dubrovnik Bridge. The beach can be found at these GPS coordinates 42°39’49.25″N 18° 3’54.83″E. Valamar Lacroma Dubrovnik provides modern 4-star accommodation in Dubrovnik. It features a spa and wellness centre, as well as a sauna, an indoor pool and a Jacuzzi. Situated in Dubrovnik, Valamar Club Dubrovnik provides modern 3-star accommodation, as well as a swimming pool, outdoor tennis courts and a private beach. It offers free wireless internet, a gym and a golf course. Located in Dubrovnik, Tirena Hotel is within a 30-minute drive of Dubrovnik Airport and offers outdoor tennis courts, a sauna and a swimming pool. It provides complimentary wireless internet, a fitness room and a golf course. A hotel beach located on the property of the President Hotel, this beach is located on a part of the Lapad peninsula called Babin Kuk. Because it is a hotel beach, there are a huge range of facilities and amenities available, and everything you could possibly desire for the day is within reach. The beach is made up of several different sections, and there is something for everyone. 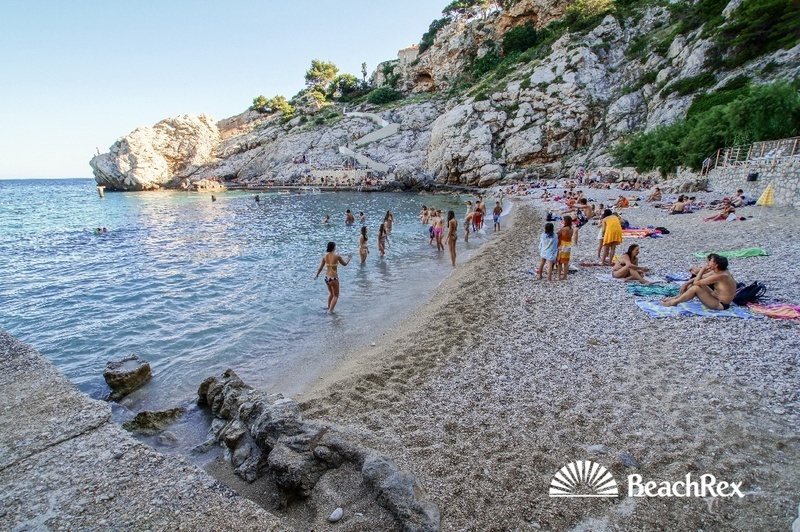 Many people choose to relax on the pebble portion of the beach, though there are also concrete terraces, rocks, and cute little bays. There is also a large pier, though make sure you’re dressed to swim if you walk it. The water is such an amazing crystal blue that you’ll be drawn to jump in! The beach President is also perfect for water sports enthusiasts. There are many options, and popular activities include renting jet skis, or exploring with pedal boats. To get to the beach use GPS coordinates 42°39’42.51″N 18° 3’27.44″E. Once you get to Uvala (bay) Lapad, there are a few different beaches to choose from. One of the best is beach Splendid, named after the hotel, in front of which it is located. Here you can lie on pebbles or concrete terraces, but it’s the amazingly blue water that takes your breath away. After diving in and enjoying a swim, you can use the free-of-charge showers located on the beach. There are also facilities where you can change. The beach is free, though you will have to pay for parasols and beach chairs if used. To get to the beach use GPS coordinates 42°39’14.01″N 18° 3’54.01″E. If you are a sports enthusiast, this beach is perfect for you. 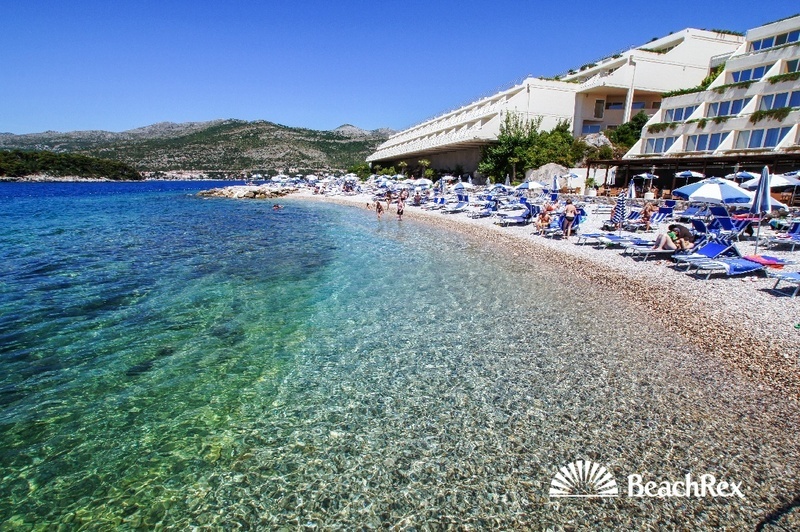 It is located in the bay under the hotel Bellevue, and is the home of water polo, Dubrovnik’s number one sport. While here, see if you can catch a Wild League game – this is the biggest amateur water polo competition in the world. The beach is a combination of gravel and concrete terraces. Because of its location and the prominence of rocks both above and under the water, you should bring your mask and a set of flippers. To fully enjoy the sun, be sure to come in the morning and early afternoon. In the late afternoon the rocks prevent the sun from shining directly on the beach. GPS coordinates are 42°38’47.01″N 18° 5’32.05″E. If you’d like to search for Dubrovnik hotels at the lowest prices, enter your dates below and click search. Booking.com will find the best hotel deals, and you can book your stay directly with them. Dubrovnik is famous for the crystal clear waters and endless shimmer of the Adriatic Sea, and many mysterious beaches lie beyond the city walls. Greg is a beach enthusiast and the founder of the BeachRex project; a blog dedicated to documenting the world’s most amazing beaches. 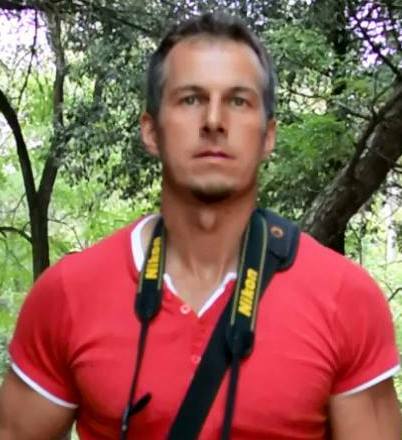 He is a big fan of photography, and loves travelling, nature, and the sea. Six years ago he developed a passion for the beaches in his life. He soon quit his job, bought a camera, a camper, and hit the road to document the beaches of the world. So far he has visited six Mediterranean countries, and taken in 2,445 beaches, documenting each meticulously. His aim with the BeachRex project is to create the biggest online database of beaches in the world to help people find their perfect beach in a flash. 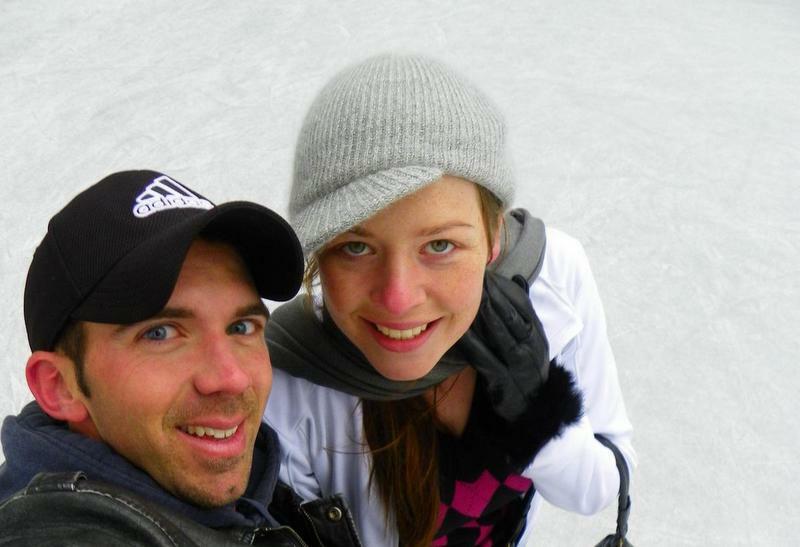 Follow Greg on his blog, on Facebook, Instagram, Youtube and Twitter. Photo credits: Featured photo by Aris Gionis. Pinterest image “city view at night” by Michael Matti. Second pinterest image by J Duval. This is just making us drool for a beach. We have been far too long without some beach love. This is getting added to our BucketList for sure. Thanks! Hope you have the chance to hit up some sand and surf soon! Coming from Australia it took me a little while to get used to Shingle beaches in Europe too! Thanks for the tip on getting a pump to go in the water – will check into it! All of these beaches look stunning in their own way! As a sports lover, Beach Bellevue would be my pick so I could combine some outdoor activities with spending time relaxing on the beach. Thank you for the inspiration! Beach Bellevue is the one that looks the nicest. I’m actually considering to visit Dubrovnik before the year ends. I think I should start thinking about visiting earlier to catch the sun in one of these lovely beaches! Its very hard for me to see an ocean in that colour and not want to jump in! Those sparkling blues are gorgeous. Its also wonderful that Beach Copacabana has special lift to help those who need it- hopefully that catches on! I have not yet visited Dubrovnik but the beaches look amazing with such clear water. President Beach looks like a place I definitely would like to visit one day. I’m so glad to hear it Anita! You’ll love Dubrovnik, Croatia is just magic! I love the beaches of Dubrovnik and these photos. 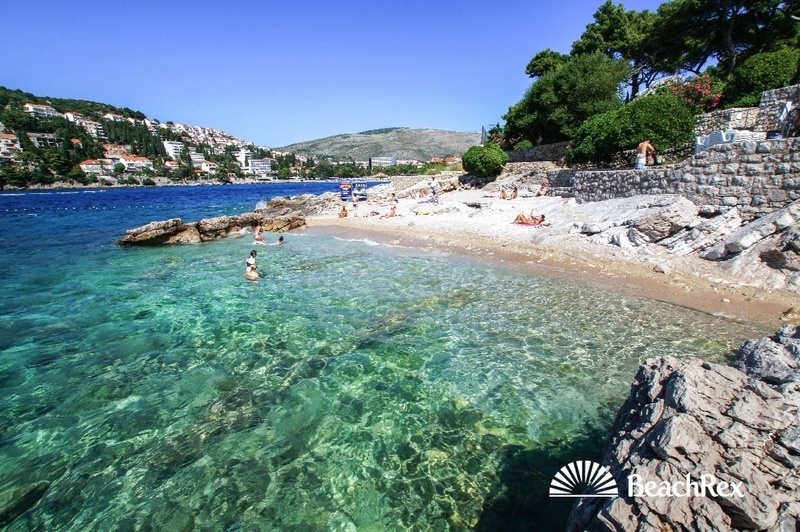 You could never go wrong with the Adriatic. Totally agree – the Adriatic is just magic where-ever you go! This kind of blog posts make me dream… I wish I could spend all my life on the beach. The water is so crystal clear and gorgeous, makes you want to dive right in. Now that hotel on President beach, woah, so close to the waters edge. You could almost dive in from a balcony. The best kind of hotel right when it comes with a beach!